As you may know, a group of 75 community members from across Denver is helping DPS prioritize investments that could be included in a bond and mill levy request this fall, and would help us meet our goal of building great schools in every neighborhood. We want to share with you some additional details about the priorities the Community Planning and Advisory Committee (CPAC) is considering, before they make recommendations to the Board of Education in June. The priorities were featuring this week are Teacher Diversity and Cool Schools. How can we ensure our teams of classroom teachers better reflect our students diversity? And if air-conditioning for every school is too expensive, how can we keep students and teachers more comfortable in hotter summer weeks? 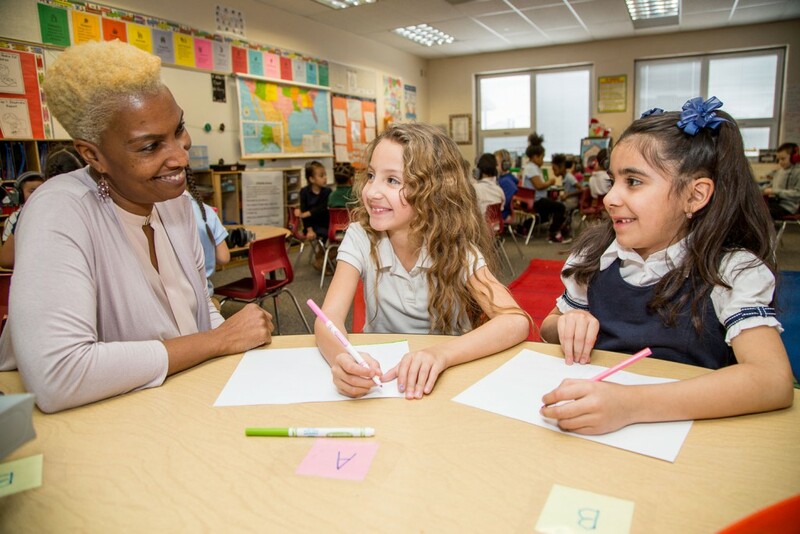 In DPS, the diversity reflected in our teams of teachers is considerably greater than that of other school districts in the Denver metro area. But our students need more teachers and leaders of color to learn from”as advocates, as guides, as role models. To complement other efforts to increase diversity in Team DPS, the CPACs Mill Levy subcommittee is considering investing in an expansion of the DPS Paraprofessional-to-Teacher Training program. Approximately 65% of our paraprofessional teams are already made up of educators of color. These professionals are experienced in working with our students, have developed cultural competencies and are often bilingual. The specific mill levy investment would create financial incentives for approximately 20 to 40 additional paraprofessionals to take part in the program each year. Click here to learn more about the Mill Levy subcommittees work to consider investing in teacher diversity. The 2012 bond infused nearly $20 million into cooling many of the 79 older DPS buildings that do not have full air conditioning. Following this investment, we recorded temperatures at each building and found that these efforts have made a measurable impact on reducing building temperatures. Still, we know there is more work to be done to ensure that our students and teachers are comfortable and can focus on learning. The CPAC is considering a significant investment in additional cooling measures that build on the 2012 changes. All buildings that are not fully air conditioned would receive funding to install automated systems that work at night to force out hot air and draw in cool air. In addition, theyre considering classroom cooling solutions for the 18 schools with the hottest recorded building temps. Click here to learn more about the CPACs work to consider investments in cooler schools. The Community Planning and Advisory Committee will present their recommendations to the Board of Education on June 2. Contact CPAC@dpsk12.org with questions.